Aquaponics is a method of growing both fish and plants within the same system. The waste produced by the fish is used as a source of nutrients for the plants, which maintains a healthy environment for the fish. 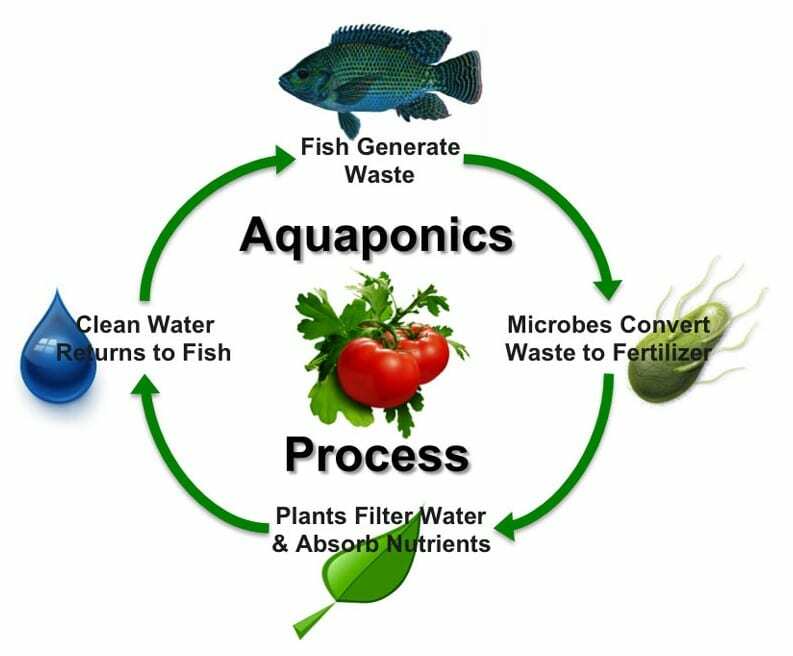 Aquaponics really just mimics what occurs in ponds, lakes and streams naturally. It utilizes the natural nitrogen cycle to maximize efficiency of cultivation of plants and fish, while minimizing waste from the system. Aquaponics is rapidly increasing in popularity as people look to grow more sustainable food, closer to the point of consumption. As a result of the symbiotic relationship between the plants and fish, hydroponics systems are more sustainable, easier to manage and less expensive to run than other cultivation methods. That is not to say that aquaponic systems are without problems. Aquaponics also requires considerably less space to cultivate the same amount of produce and requires no soil. This makes it ideal for urban gardening and food production. It can be done either indoors or outdoors and the size of the aquaponic system is entirely scale-able. Aquaponics is particularly sustainable because it requires minimal inputs other than food for the fish, and causes no deforestation or pollution. It also uses up to 90% less water than traditional soil based cultivation of plants. Due to the minimal environmental requirements to set up an aquaponics system, it can be done anywhere. This can reduce the distances that food is grown at from its target market. Aquaponics is not a new cultivation technique, but the term aquaponics is more recent. The term is a combination of aquaculture, the process of farming fish or shellfish, and the term hydroponics, which refers to plants grown with a water and nutrient solution, rather than soil. Aquaponics essentially combines the two techniques, to gain many of the benefits of both and reduce the limitations of each. An aquaponic system works by having a tank where fish are grown and provided with food and a healthy growing environment. A pump is used to pump a proportion of the water from the fish tank up to a hydroponic tank, where plants are growing. Bacteria help to process the fish waste to turn it into a usable nutrients for the plants. The plants will absorb the nutrients, helping them to grow and thrive. The water from the plant growing tank is then drained back down to the fish cultivating tank. Aquaponics systems use very little active energy, and often require only one pump to pump the nutrient solution from the fish tank to the plant cultivation tank. The idea of an aquaponic system is that the plants and fish benefit from the presence of the other and you are able to cultivate both fish and plants as a food source. Unlike traditional soil based cultivation of plants, any water in the system is recirculated, so the only water that is lost is from evaporation or transpiration. This results in 90% less water being required than in soil based cultivation. Aquaponics has been practiced for centuries under different names. It is only over the last 50 years that significant technology has been applied to the concept and the modern aquaponics industry has developed. Aquaponics has been practiced in the paddy fields of China for thousands of years. Rice is grown in flooded pastures and fish are cultivated in the standing water between the rows of growing rice. 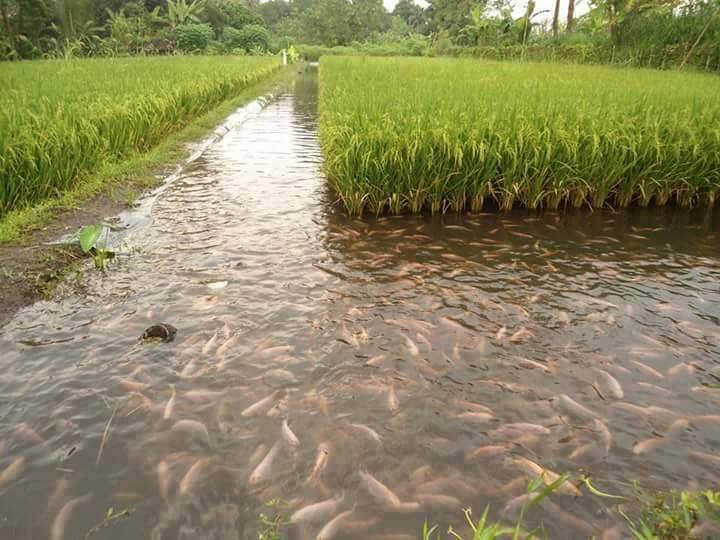 The fish provide natural fertilizer for the growing rice, reducing the need for artificial fertilizers and the plants ensure that the water stays healthy for the fish to thrive. In ancient Mexico, the Aztecs had chinampa systems that utilized water-based cultivation techniques. Artificial islands were built in swampy areas, so that plants were grown just above the water level and surrounded by water filled drainage and irrigation channels. Over time, sediment would form at the bottom of the irrigation channels, which was dug out and used as fertilizer for the plants. As fish lived in the irrigation channels, their waste made the sediment rich in nutrients to help the plants to grow. Modern aquaponics really took off from the 1970s, following research into the science of aquaponics at various institutions, most notably North Carolina State University. Aquaponics has a rich and successful history, and as it mimics the natural ecosystem of lakes and rivers, it tends to be very effective. It is often cites as being one of the most productive food cultivation techniques in the world. For this reason, it is highly likely to account for more and more of our food production as time progresses. Soil based cultivation remains the most popular way of producing food for humans to consume. It has been refined into a highly efficient process and will remain hugely important in the future. However, it has a number of negatives that aquaponics can reduce or eliminate. Requires large volumes of water and much of the water is wasted. Usually labor intensive, even with modern farming techniques. Requires soil improvement and crop rotation to maintain a good cultivation environment. Plants can only be grown where good arable land is. This is often geographically distant from the market for the produce. Uses 90% less water than soil based cultivation.. Fish provide all the fertilizer that the plants need. Sustainable and very productive method of cultivating food. Fish do not require antibiotics. With the use of indoor growing and supplemental lighting, you can grow all year round. Minimal waste of water or nutrients. 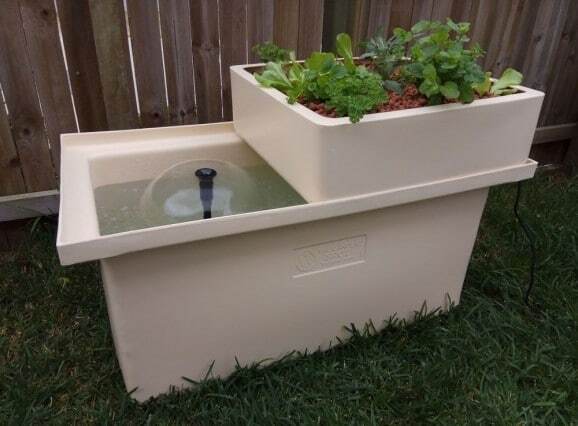 You can set up an aquaponics system almost anywhere. Scalable. Aquaponics systems can be as large or as small as you want them to be. Cultivates both fish and plants. A home aquaponics system can provide a large amount of your food requirements. Hydroponics systems require addition of nutrients, that have to be precisely made and added to the system. You need to change the nutrient solution often. Aquaponics systems simply need you to feed the fish and monitor the pH. Hydroponics systems need to be monitored frequently for the TDS and pH. For aquaponics systems, once you have things in equilibrium, you need to monitor these less frequently. You need to change the nutrient solution frequently in a hydroponics system. Otherwise, undesirable nutrient levels will increase to a level that can damage your plants. In an aquaponics system, you don’t need to change the water. Just top it up as water evaporates. Root rot is very rare in aquaponic systems, whereas it is more of an issue in hydroponic systems. For more information on hydroponics, check out this article. When first getting into aquaponics, you can start as big or small as you want. It is so flexible and a DIY system can be set up in a few hours. To set up a basic hydroponic system all you need is a place for fish to live, a water pump and some tubing, a growing container for the plants, and a growth medium for the plants. There are a few more bits and pieces that you will need, but these are the main constituent parts. My advice for anyone getting into aquaponics is to start with a relatively small and uncomplicated system to ensure that you are able to overcome any technical challenges and don’t become overwhelmed at an early stage. At a later date, you can expand or upgrade your system to allow you to cultivate larger quantities of crops and fish. There are some relatively inexpensive pre-built systems that you can purchase, and these are great for people who don’t want the inconvenience or uncertainty of building their own system. A great option for getting started in aquaponics is to use an existing fish aquarium and place your grow bed over the top of the aquarium with a pump to transfer water between the aquarium and the plants. Fish can be used within an aquaponics system for ornamental or farming purposes. Many people just getting into aquaponics will have a small system that is really only suitable for ornamental fish. However, once the system is scaled up just a little, it becomes viable to cultivate fish as a food source. It is at this point that you will really gain the maximum benefits from aquaponics. Fish fulfill the role that artificial nutrients do in other hydroponics setups. In aquaponics, you feed the fish and, through their waste, they provide all the nutrients that your plants need to grow. It is worth carefully considering the type of fish to grow within an aquaponics system, as some are more suited than others. 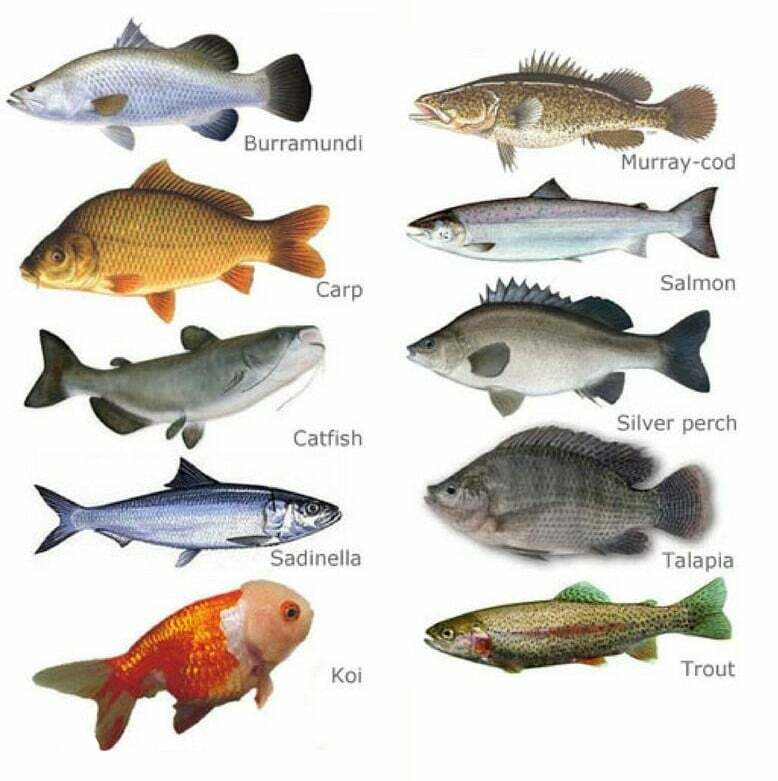 The choice of fish for aquaponics is quite large, but not all of them are edible. Koi and goldfish are the two most popular varieties of ornamental fish used, and are great for people starting out with aquaponics, or those who want to integrate it within an ornamental fish tank or pond. Tilapia, trout, perch and bass are some of the most popular edible varieties of fish for aquaponics. Fish typically have a relatively small temperature range at which they will thrive. It is important to pick a fish species that will thrive in the conditions of your aquaponics system. You can of course add a water heater so you can grow warm water varieties in a cold climate, but this will add to the cost and complexity of your setup. The availability of young fish of your chosen species will be a consideration in your choice. This will depend on local availability. You could of course opt for adult fish, but this will again increase the cost of your system. Breeding your own fish stock can be an interesting sustainable option and can be done either within your aquaponics setup or in a separate tank. What Are The Best Aquaponics Plants? There are a large number of suitable plants to grow within an aquaponic system, but the best options will be those that thrive in a wet environment and are suited to the climate you are growing in, whether this is an indoor or outdoor system. There is a list of some of the plants I have had the best success with. Aquaponics is not as simple as traditional soil based gardening, and there are many problems that need to be avoided, to make it a success. Aquaponics requires good knowledge of the factors that can influence the health and growth of both the plants and fish in the system. You need to monitor the system closely to ensure both the plants and fish are thriving, the water pump is functioning and the water levels and pH are optimal. It is also typically more expensive to setup an aquaponics system than other forms of hydroponic cultivation and soil based gardening. Once you have built or assembled your system, the first few days and weeks will require very close supervision to make sure everything is working and to encourage the system to achieve a good equilibrium. Despite these challenges, I believe the advantages of aquaponics far outweigh the disadvantages. As long as you accept that aquaponics is not a passive hobby and will require some work to achieve success, you are unlikely to be disappointed by giving it a go. Maintaining the pH of the nutrient solution in water culture is a very important factor in the success of a system. Unlike in other forms of hydroponics, where the only concern is the needs of the plants, in an aquaponics system, you must balance the needs of the plants and the fish. Plants tend to prefer a slightly acidic pH, and the ideal pH in a hydroponics system is usually between 5.5 to 6.3. Fish, on the other hand, tend to prefer a slightly alkaline pH of about 7.5 to 8. Therefore, in aquaponics, you must compromise, to ensure the health of both. A pH of about 6.8 to 7 is normally considered the ideal target in aquaponics. The fish waste being produced within an aquaponics system will have a tendency to lower the pH of the water, and you will need to regularly monitor this. 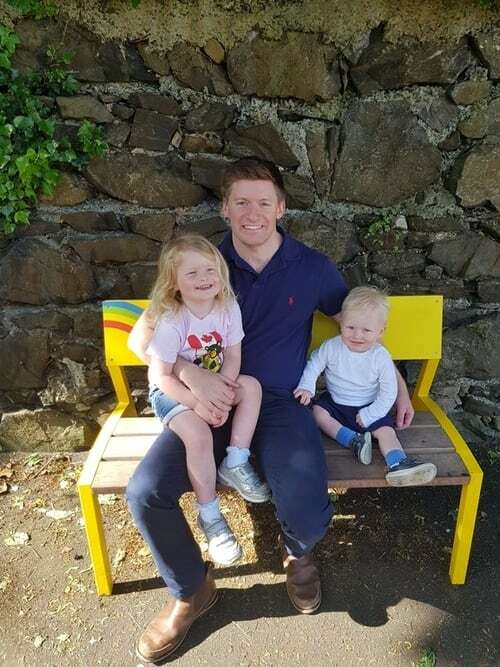 I would recommend doing this several times per day for the first few weeks until things stabilise, and then you can decrease the frequency of testing once you are confident that things are well settled. You will need to adjust the pH of the water using suitable pH adjusters. I would advise diluting whichever pH adjusters you choose, so that the pH can be adjusted by small amounts gradually, to ensure that the target pH is achieved without overshooting too often. FIsh really don’t like sudden changes to the pH of their water, so please take care when adjusting the pH. 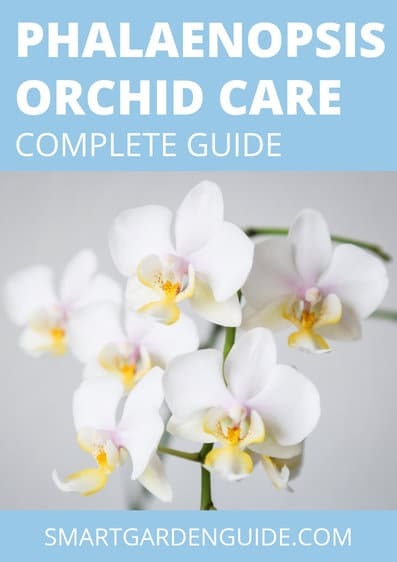 If you are unable to maintain a suitable pH, the plants within the system will not be able to absorb the nutrients that they need to survive and will develop deficiency or toxicity to a range of nutrients, depending on the pH. Similarly, fish become stressed when living in water outside their ideal pH range and this can lead to fish death. The pH of the water is also greatly affected by the total dissolved solids within the aquaponics nutrient solution, so you should also be testing the hardness of the water regularly to ensure that it stays within your target range. For people who have ever kept fish in an aquarium, you are likely to have used a biofilter to ensure that the water in the system remains a healthy environment for your fish. This is needed because fish produce toxic ammonia in their waste, which can build up to dangerous levels. Bacteria within the water convert the ammonia into nitrites and then nitrates. These nitrates can be absorbed and used by plants for growth. If the number of fish and plants in a system is in equilibrium, there will be no need for a biofilter. Essentially, the bacteria in the water and the plants in the aquaponics system are the biofilter. This just mimics the natural processes that occur in the real world. Many people will tell you that you need a biofiltration system to run a successful aquaponics setup. What I would say, is that if you are having problems in your system that are making you think you need a biofilter, there is something else wrong in your system that needs corrected. If you want to get started in aquaponics without spending too much money, I would definitely recommend a DIY setup. You don’t need much technical expertise, and there are loads of tutorials online to help you build a simple setup. Loss of power to an aquaponics setup can be catastrophic. If the pump is not working, ammonia levels can build quickly and kill your fish. Get a pump that can be powered by batteries if needed and ideally get a pump that has an alarm if there is a problem. Ensure that your fish get enough food and do some research to pick good quality fish food to maintain the health of your hydroponics system. Feed your fish small amounts often, to ensure that the amount of waste being produced is at a fairly constant rate. Lack of oxygenation of your system will cause problems for your fish and plants. Plant roots will rot and die, and fish cannot survive in deoxygenated water. You should ensure that the water circulation within your system is dynamic and ideally cascades between each tank, causing increased oxygenation. If necessary, you may need to consider an air pump. Try to pick plants and fish which have similar temperature and growing condition requirements. This will ensure that both stay healthy and the system is easier to manage. Try not to let the volume of fish in your system rise to more than 20kg per 1000 liters of water. This can cause increased deoxygenation and excessive buildup of ammonia. Monitor the pH level very closely. Failure to do this, particularly in a new system, will result in disaster.